Understanding how your radio equipment operates, and what it is, is not difficult. With this short tutorial, you too will be able to troubleshoot your radio system and enjoy your RC model to its fullest extent. The letters RC stand for Radio Control. You may see it referred to as remote control, but this is incorrect. Radio control is the correct term, because the RC model is controlled as radio signals pass from the transmitter to the receiver. The transmitter sends a radio signal to control the various movements aboard the RC model. Depending on the RC type, your radio system can have as little as 2 to as many as 6+ channels, with each channel controlling a separate control surface. In the same way your TV or AM/FM radio receives a radio signal from a broadcasting station, the on-board receiver receives the signal sent from the transmitter when you move the controls or flip a switch. Instead of receiving an image or a sound, the transmitter will send out a signal that is translated into directional movement by the receiver. 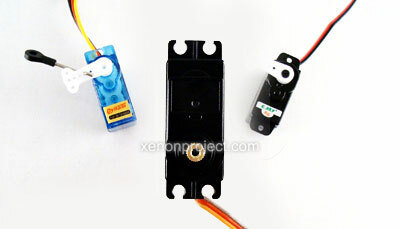 A servo consists of a compact, yet powerful electric motor and gears which drive the servo horn attached to the outside of the plastic servo casing. The horn is the hand of the servo which connects the servo to the control surface (throttle, aileron, propeller, blade etc.). Crystals determine which frequency the radio control set will operate on. 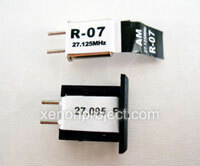 To operate and function properly, both the transmitter and receiver must receive sufficient power. 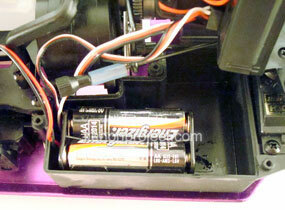 Make sure the batteries in both the transmitter and receiver are brand new. 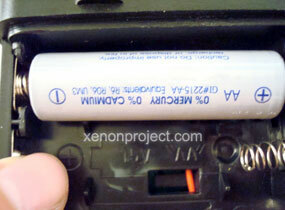 When inserting batteries make sure they are correctly inserted, using the small directional markings as your guide. Warning: Weak or dead batteries will result in poor radio reception and possible vehicle damage due to loss of control. 2. Make sure the radio system can send/receive signals. 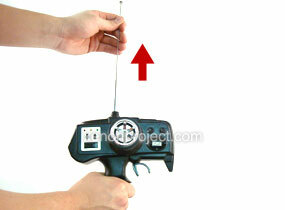 When an input is made by moving the stick, a radio signal is sent out via the transmitter antenna and picked up by the antenna of the receiver, which is located within the RC itself. Make sure the antenna on the receiver has not been damaged or torn, and that the antenna on the transmitter is properly screwed in and fully extended. Note: A wired antenna will extend from within the receiver to outside the model. Never cut or loop this wire to reduce its length. 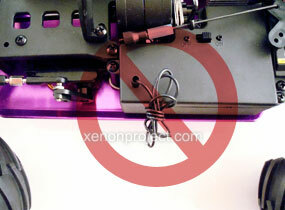 Doing so will drastically reduce the model’s ability to receive a signal, and can result in your RC losing control. 3. Check to see if the radio system responds. Both the receiver and transmitter need their own crystals to operate correctly. Both must be on identical frequencies. Please locate the crystals on both the transmitter and receiver and check for matching frequencies. 4. Verify the receiver is sending a signal. Once the radio signal is received via the receiver wire, it is translated into physical movements by the servo. Make sure all of the servos are firmly connected to the receiver. The receiver is connected to the servos by small cables, with each servo connected to a separate port on the receiver. 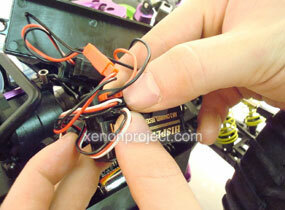 Take the transmitter in your hand, and move the controls to verify the operation of each servo.